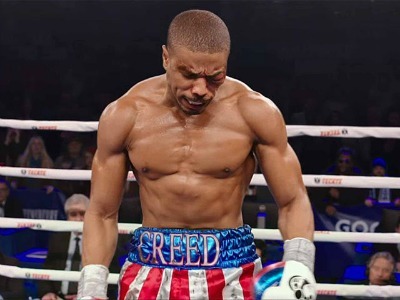 Synopsis: Striking out on his own as a professional fighter, Adonis Creed, the son of former world heavyweight boxing champion, Apollo Creed, sought out the training help of Rocky Balboa in Philadelphia. Their time together went beyond boxing to learn from each other about building a true friendship, growing in self-esteem, and recovering from abandonment. Welcome to Conscious Movie Reviews. I'm your host, Joy Davis and here to review the film, Creed. Seeking out Rocky Balboa in Philadelphia to be his trainer was a means for Adonis Johnson Creed to have a connection to his father. It became more of a journey from Abandonment to Healing. 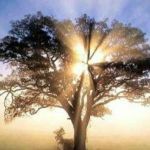 Based on the work of Abandonment expert, Susan Anderson, she recognizes the Five Stages of Recovery that accompany the loss of love, starting with the first one called Shattering. Experiencing the death of both parents by Creed, especially at a very young age, can form a Shattered Personality. According to Anderson, "For many abandonment survivors, this means intermittent emotional turmoil and chronic uncertainty about yourself and your relationships. As new experiences trigger the old emotionally charged memories, your self-defense system kicks in, releasing adrenaline and other stress hormones. The process leaves many feeling on edge and suddenly uncomfortable in their own skins." For Creed, the healing from Shattering was a golden opportunity for emotional self-reliance. He can finally stand alone and affirm his strength. Australian, aboriginal tribes pay attention to the outer conditions around the birth of a child. 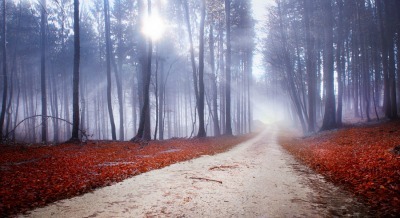 Many of the circumstances are symbolic and prophetic about the child's life path ahead. As a child born from an illegitimate affair by an absent father, it foretold of Creed's life: one of abandonment and judgment by society. His self-worth will always be in question - a form of self-punishment. As a fetus in the womb, it is likely that Creed imprinted a set of beliefs reflecting his parents' emotional dynamics: that he is worthy like them of being hurt, neglected and deserted by others. Losing his father before birth, Creed lacked the fatherly support to guide his masculine energies in a healthy way. Without a father around, Creed resorted to youthful violence, threats and intimidation. Acting abusive can never fix what's broken or missing inside and can't restore you to wholeness. On the outer, Creed's antisocial behavior is a function of his inner restlessness - being disconnected from the source of his being. And serving time at a Los Angeles youth facility was not the place to align him with his body, mind and spirit in a rehabilitative way. 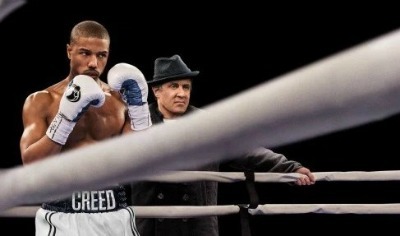 Creed at times wanted to forge his own identity as a professional boxer. He had chosen to live in the shadow of his legendary father for far too long, which only served to stifle his own potential. Admitting that someone is more powerful than you keeps your potential unrealized, similar to an introvert that wants to stay invisible from lack of courage and self-esteem. Training with Rocky taught Creed to have courage and compassion. By building his own wins, he can choose to be interdependent in a healthy way with others, acknowledging their brilliance, and his own, for all to shine. After much reluctance, Rocky agreed to train Creed at the Front Street Gym. The training went way beyond conditioning the young fighter's body to gift him with the discipline needed for earning inner and outer freedom. Creed's enslavement comes from being his own worst enemy. 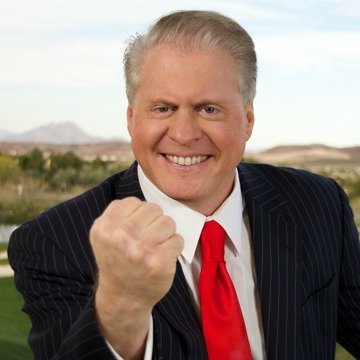 Taking a quote from bestselling author, Dan Millman, he says, "While freedom is our transcendent birthright, it must be earned in this world." When Creed found out that Rocky was diagnosed with non-Hodgkins Lymphoma, this really upset him. World renowned metaphysical teacher Louise Hay taught that the underlying cause of all disease comes from a lack of self-love. It is understood that the mental, emotional and energetic blocks behind Lymphoma is from feeling afraid of loss. This was true for Rocky. He was chronically sad about having lost those he dearly loved, then resisted dealing with his own mortality. Whenever you feel down from unresolved grief, this can lower your Life Force energies, resulting in poor immunity. Being a boxer was Creed's calling in life. What went on in the boxing ring with world light heavyweight champion "Pretty" Ricky Conlan only served as the backdrop to the real fight inside of Creed. As with all boxing matches, there's a designated winner and loser. Creed came into the fight as an underdog. Buying into the idea that we defeated someone only reinforces scarcity thinking. When there is no dignity shown towards your opponent in boxing, it's all about leaving the other person powerless and vulnerable. Those in the ring use brute force to act out their powerful feelings of resentment and inferiority. At the heart of it is a lack of self-worth. When Creed embraces his own self-worth, the inner fight is over because true justice within him will be served. In truth, no one is ever really out to hurt, neglect or desert you because Soul can never be harmed. In the end, "Pretty" Ricky Conlan won against Creed in a split decision. As fight announcer said to the audience, "Conlan won the fight, but Creed won the night."